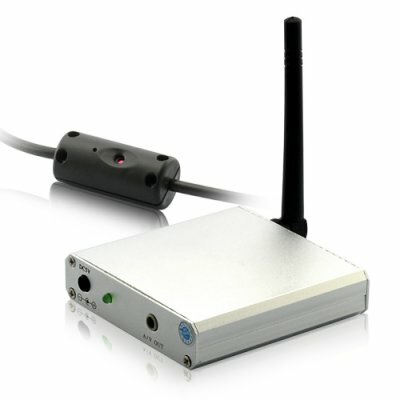 Successfully Added Working USB Cable Camera with Wireless Receiver to your Shopping Cart. It looks and works just like a normal USB cable, but this gadget also houses a hidden lens used for recording video, making it the most undetectable surveillance device yet! As one of our most inconspicuous surveillance gadgets yet, nobody would ever think the USB cable currently charging your mobile phone/electronic gadget is actually a hidden camera! Leave it out in the open and use it to keep an eye on your belongings while you're away, or keep it focused on a certain area of the room without anyone noticing. The video feed from the lens is all transmitted wirelessly to the receiver (up to 100 meters away), which in turn can be connected to and displayed on any device with AV-in, like a LCD monitor or even your television. This USB Cable Surveillance Camera is powered directly by your computer/laptop's USB port, giving it a convenient and continuous power supply. You can also power it with the included power adapter in case of emergencies. Finally, the automatic nightvision on this camera allows you to capture video at night, where all the action is most juicy. Available in our warehouse now, order now and we'll ship this USB Cable Camera out tomorrow. Don't miss your chance for massive profits on your online store with the coolest and most unique surveillance camera to date! Brought to you by Chinavasion, the leader in China wholesale electronics.